This week's Haynesville Shale rig count was up one to 25. Louisiana was up one (Petrohawk) to 16, while Texas held at nine. 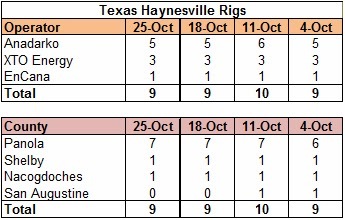 I neglected to mention last week that it was the first week since I started publishing rig count data in the Haynesville Shale in January 2010 that San Augustine Co. Texas was without a Haynesville rig. 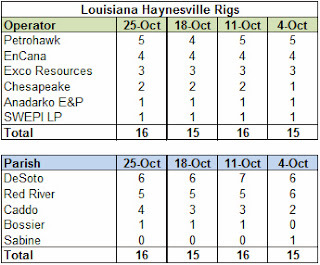 At one point in early 2010, there were 22 Haynesville rigs plying their trade there. 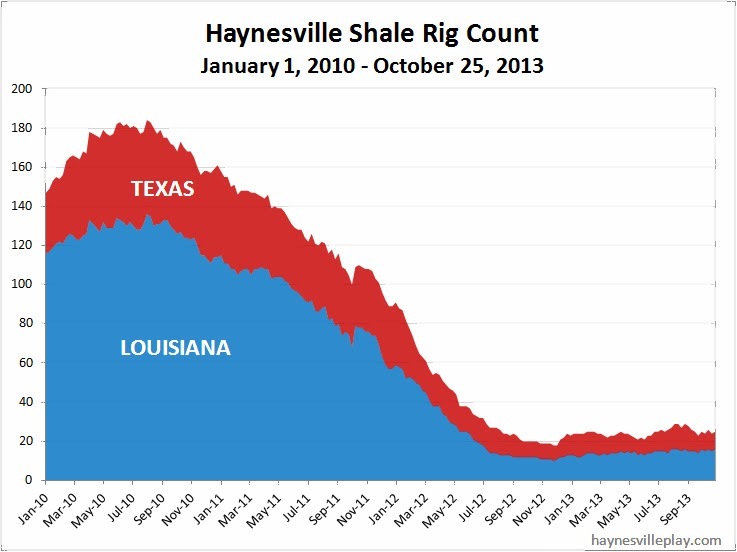 My, how things have changed.